Gluten allergy or sensitivity is the key to many chronic health problems, like thyroid diseases, bowel, skin and hair, and autoimmune conditions. 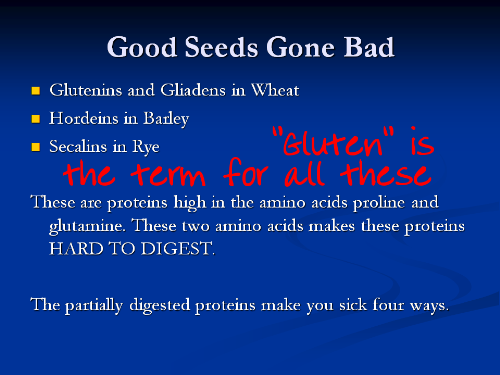 If you are having chronic illness, and there has been no relief, a proper evaluation can find out if gluten is the culprit. 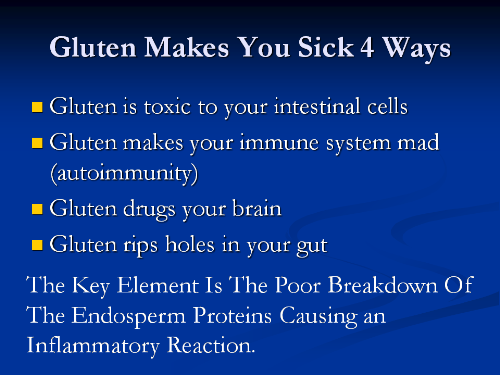 Many times, gluten starts a chain of metabolic and inflammatory events that can keep you sick. Please call for an appointment, and start the process of recovery.